Ready for little lactose intolerant tummies. Make sure to serve it with a fork! After you preheat your oven to 100 degrees celsius, make your guacamole and salsa first. Heat a frying pan to medium-high and splash in some olive oil. Dice your onion and place it into the pan to brown. While your onion is browning, cut up your avocado and place into a bowl. Slice a lime in half and squeeze both halves into the bowl, then add your coriander and some salt and pepper, fold this together with a fork until the consistency is right for you. Chop your chillies and add those to the pan with your tomatoes, adding some salt and pepper to taste, and mix together until the onion and tomatoes are thoroughly cooked through. Heat up your beef mince in a frying pan and cover it evenly in the taco seasoning powder. Fold this through until your beef mince is cooked. Pour the bag of CC's into a small glass or ceramic baking dish, arranging them so that they are easy to pick up with fingers, spoon the mince on top of the CC's and then cover with lactose-free cheese (use as much or as little as you want). Pop this into the oven for 5 minutes or until the cheese is melted, then add your homemade salsa, guacamole and lactose-free sour cream. Tried this and it was loved by all. Love nachos!! I prefer to use lamb mince! Love tacos, need to try out this cheese and cream to see if it helps. I love tacos! Nice that there are good lactose-free products on the market! Thank you for this recipe, very handy one for parties with some of my friends problems. Love your nachos recipe,look’s fantastic! Thanks. 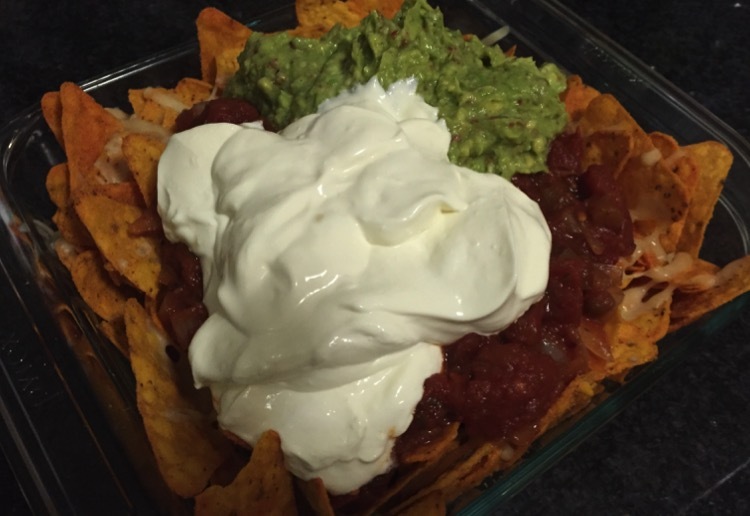 Thanks for a lactose free recipe – these nachos looks so yummy. Do love nachos!